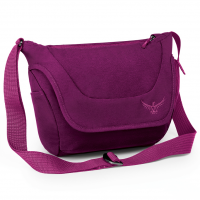 A flap-style shoulder bag, the Osprey FlapJill Mini keeps you organized and ready for any adventure. 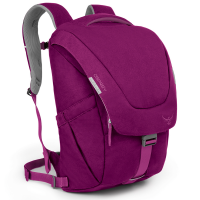 Quick-opening flap is secured with Velcro or buckle when extra security is needed. Padded sleeve fits tablets and netbooks to 10 in. /25.4 cm. Internal organizer pocket for electronics, snacks and other everyday items. 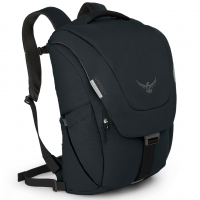 Zipped front pocket with key fob to keep certain items secure. One zipped side pocket. Adjustable strap has pad with silicone print for extra grip. Padded grab loop on the top. Reflective hits to increase your visibility in low-light conditions. Made with durable 900D polyester that shrugs of daily dirt and wear to keep on looking good. Imported.